Are you ready for a bright card? 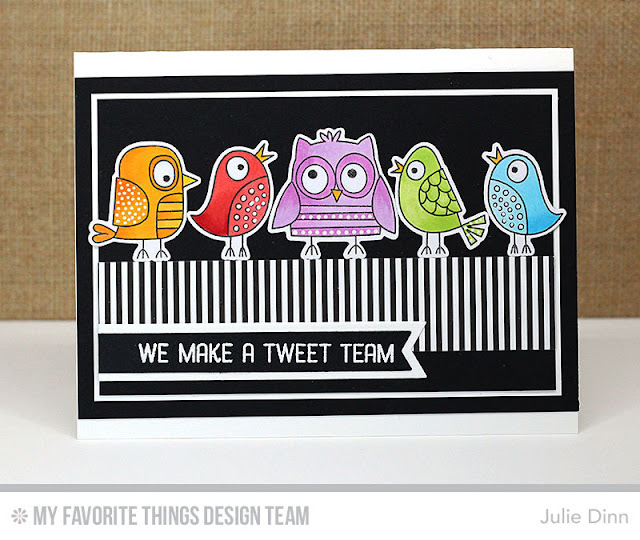 I grabbed the adorable Tweet Wishes stamp set and paired it with some black and white card stock to create this bright card for the newest sketch challenge. The images were all stamped on X-Press It card stock and coloured with Copics. I love how the colours pop on the black card stock.